WHAT CAN I DO WITH THIS QUALIFICATION ? 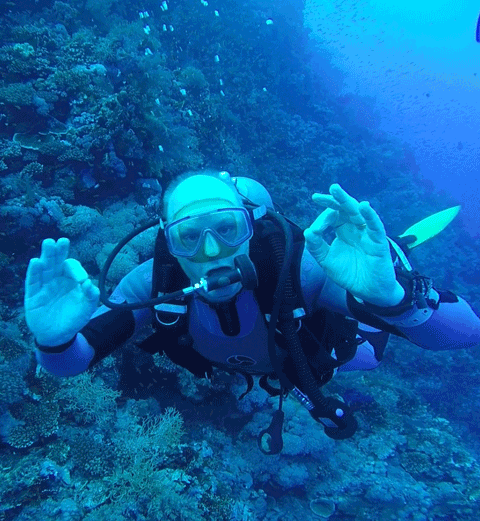 The BSAC "Ocean Diver" qualification is recognised and accepted world wide so whether you want to dive abroad, with the club or elsewhere you'll be able to. It qualifies you to dive with a suitable buddy to a depth of 20 metres and since January 2007, Ocean Divers can also use a limited selection of gases known as Nitrox. After completing the course you'll be able to go on holidays, dive trips in Britain or club trips and be able to dive to the limits of that qualification without problem. For more information see the BSAC official site description. WHERE DO I GO AFTER OCEAN DIVER? Generally we run 1 sheltered water and 1 theory lesson per week. This means you can expect to take approximately 7 weeks to complete that part of the course. As for the open water dives the timing is far more down to you. 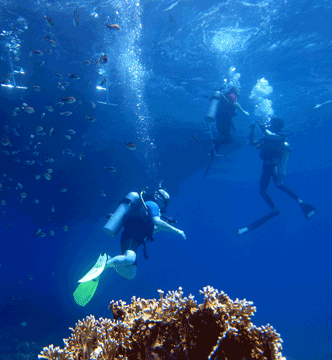 Dives are generally performed on weekends whenever the trainee is available. Occasionally there is the opportunity to get some mid week diving arranged. Typically you do 2 dives per day training. In theory it could be completed in 2 weekends but in reality it may well take longer due to availability of trainees, instructors and a delay while trainees purchase the required equipment. 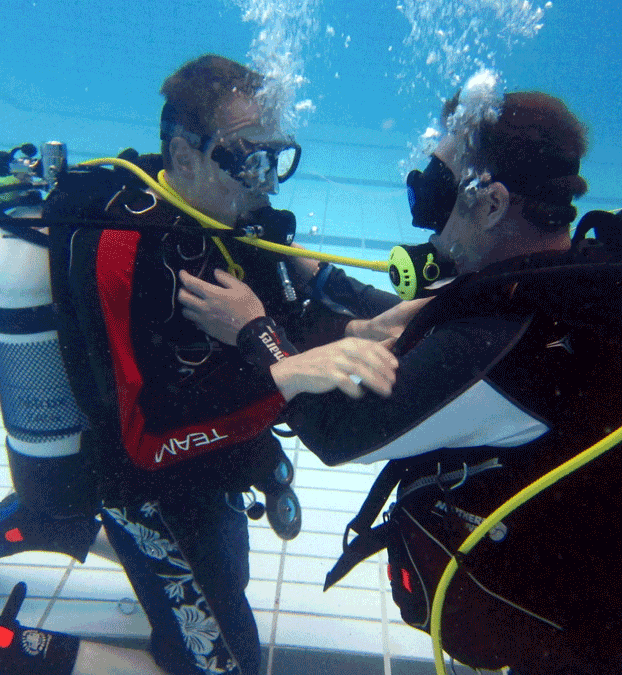 BSAC is recognised as the UK governing body for scuba diving. It works slightly differently to what you may have heard of abroad in that clubs are amateur, courses are "free", instructors are not paid. You simply pay for your BSAC membership, course materials, join a club and training is then done at-cost. Before beginning the course you will need to have completed a self-declaration medical form. You will also be required to purchase the ocean diver training pack. For comfort and hygiene reasons we request that trainees purchase their own properly fitting mask, fins and snorkel prior to commencing their training, although these are available at our club on a loan basis. SCUBA equipment is loaned for the duration of sheltered water training but we request that trainees need to have purchased their own equipment before beginning the open water dives. 5 open water lessons, minimum of 120 minutes underwater. Typically the sheltered water lessons are run 1 per week between 7:30pm and 8:30pm and the classroom lectures are run from about 8:45pm at The Kings Arms Public House Ebbw Vale or occasionally on weekends at pre arranged venue's. 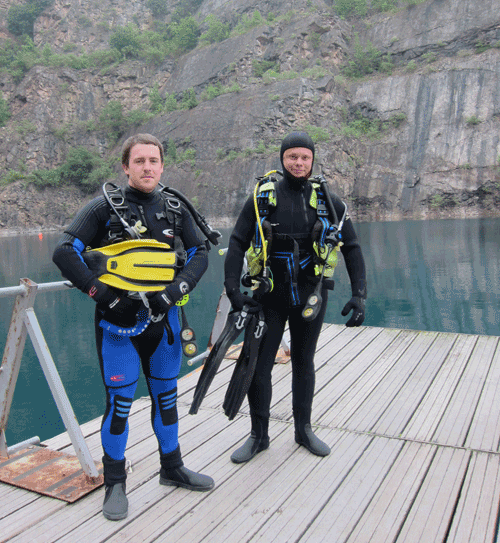 Open water dives are generally done on weekends and on some occasions throughout the week. Our club is a member of and therefore follows the British Sub Aqua Club training system. The entry level qualification is called "Ocean Diver".